Those who follow Louisiana politics will be shocked to learn of continuing political controversy surrounding landfills in an around New Orleans. 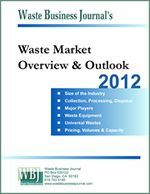 Most recently, Waste Management is seeking a court order to prevent nearby Jefferson Parish from contracting with IESI, a division of Progressive Waste Solutions Ltd., to expand and operate the parish landfill for at least 10 years, replacing Waste Management, which has operated it for the last 25 years. In a court filing for a temporary restraining order, Waste Management accused the Parish Council of making an "arbitrary and capricious" decision last month to begin contract negotiations with IESI, even though Waste Management's proposal received a higher score from a parish evaluation committee. U.S. District Judge Ivan Lemelle denied the request, saying it is premature but ordered the parish to notify Waste Management at least seven days before voting on the contract. This recent salvo is the latest development in a two-year controversy over the parish's disposal plans. 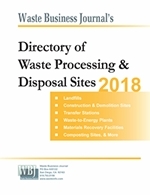 It began in 2009 with the approval of a 25-year $160 million contract with the neighboring River Birch landfill, which is now under federal investigation. That deal involved closing the parish landfill upon completion of its contract with Waste Management in 2013. The parish began pursuing a court order to declare the River Birch contract invalid once it was revealed that River Birch had paid the health insurance for the wife of a top aid to the council president and allegedly paid bribes to a former Louisiana Wildlife and Fisheries commissioner to lobby against another competing landfill. The Parish had approved the contract with River Birch under the assumption that it would save $20 million over 25 years, but a more recent study revealed that it would save at least $9 million by continuing to use its own landfill. The parish is now moving forward with a planned 55-acre expansion of the parish landfill that would add enough capacity for 10 to 12 years. See also: "Louisiana Official Pleads Guilty to Taking Bribes to Fight Landfill," (www.wasteinfo.com/news/wbj20110607D.htm). See also: "Former Louisiana Official Accused of Taking Bribes to Fight Landfill," (www.wasteinfo.com/news/wbj20110315C.htm).